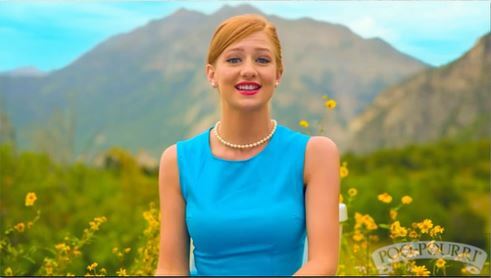 Congratulations to our Client Poo~Pourri on the success of their new ad, ‘Girls Don’t Poop’! The ad, which was published on YouTube on September 10, 2013, has already received over 3 million views! According to BuzzFeed, Poo~Pourri’s epic ad is a “funny, breezy, snappy-scripted style video.” Â Associated News, Jezebel.com and WBSMÂ have also shared their praises upon viewing the toilet spray ad. Poo~Pourri is an award winning before-you-go toilet spray that comes in several different sizes and scents.Â Poo~Pourri is not a chemical cover up. Based on aromatherapy principles, a few squirts into the bowl before-you-go forms a protective layer of essential oils that prevent stinky bathroom odors from showing up in the first place. Find out more at PooPourri.comÂ and, ifÂ you haven’t already, check out the hilarious Poo~Pourri ad, ‘Girls Don’t Poop’!